We at Brand Radiator are a team of 25+ young and dynamic tech marketing gladiators with more than 18 clients on-board, who are based round the globe including Russia, UK, and Australia. We started in June 2018 recognising that smaller cities are home to entrepreneurs too. While coming to building any startup idea, people always move towards metros and cosmopolitan cities missing the fact that actual India breaths in B & C category states/cities. In order to empower India digitally, it is important to work in such locations where there is the dearth of technologies. Also, due to lack of good digital marketing companies in tier 2 and tier 3 states/towns and their narrow understanding of the importance of the sector, there was a huge demand of digital solutions, so that their desired benefits and impact can be visible on business and people. Our intent is to give back to our soil in our best possible might”. 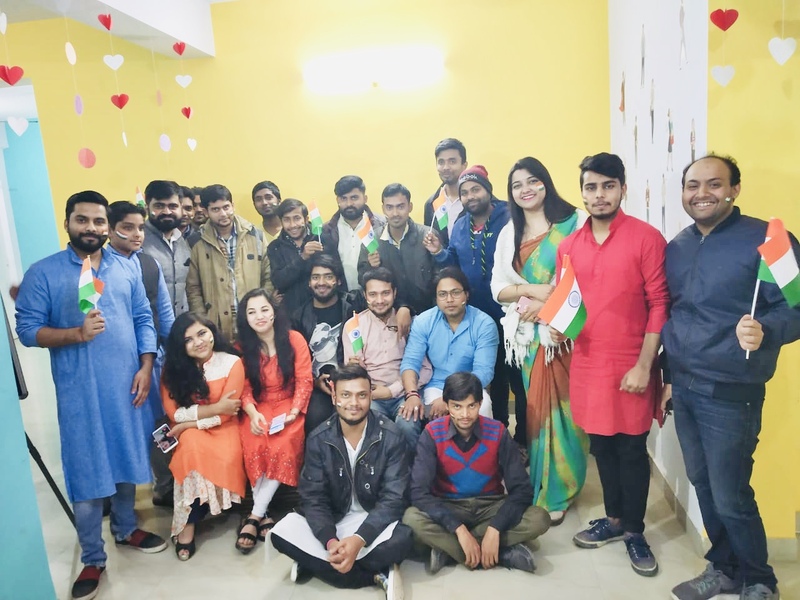 The founders of Brand Radiator, Himani Mishra and Shashidhar Rajan, have taken steps forward, knowing the challenges, to revolutionise digital marketing in Bihar and every such state. From the name Brand Radiator, we express that our love and baby care for the brands are of utmost importance. The logo of our brand in the color blue connects with the brightest illumination in a radiation process. Here, at Brand Radiator we aspire the same to position brands associated with this analogy. Relating it to our core strength, we came up with the name Brand Radiator, where offering services are not the only part of our exercise, but a pre-implementation procedure, where evaluation and analysis are followed before framing a strategy for our clients. 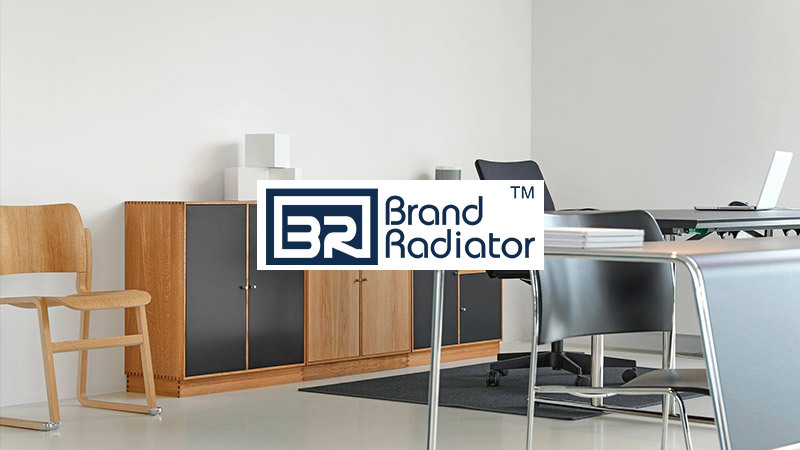 We at Brand Radiator believe that with the right visible strategy, any company can conquer all its marketing challenges right from sales, branding, marketing, ad management to customer relationship management. We are into offering 360-degree marketing solutions and services both on offline and online modes. For online digital solutions, we are into digital consulting, social media management and marketing, search engine marketing and optimization, digital ad management, video production, website and mobile application development, online reputation management, and PR services. In offline marketing, we have a plethora of expertise in design and content development of different marketing collaterals used in the offline channels for marketing, promotional, brand awareness and other activities. Right for Right: We have taken a step forward, knowing the challenges, to revolutionize digital marketing in Bihar and every such state and making people aware of the power of digital marketing as well as support to realize the dream of Digital India. We are also trying to help to generate employment opportunities so that the talents of the state do not go out in search of a job & we can help preserve the brain drain. In this era of data & identity privacy, the content development process faces huge challenges. We at brand Radiator believe that it is very important to send the right message to the right audience is very critical. Understanding this need we came up with our solution, where we follow demographic research methods based on real-time analytical data to create segmented and engaging content for our clients. We don’t jump directly into the solution. Rather, we ponder over the question. We have devised our own logical analysis methodology where we evaluate each and every crux of the situation and henceforth put the solution. We follow yardstick of quality with Six Sigma DMAIC technique, sought with a finger on the pulse of market & competitors trend, analytics-driven content creation, clients centric ROI driven solutions and services based on our advanced quantitative analytics techniques and process-oriented bold & fearless design technologies. Yardstick of quality with Six Sigma DMAIC technique. Now that everything is so transparent and all concerned parties are exposed to all the information. How does one handle the social responsibility aspect from an agency point of view? Having the potential to hit every mind and heart on a large scale, it is very important apart from branding and marketing for any brand to take upon humanity issues like child marriage, dowry system, child labour, need of education etc. aimed to be spread through the right way so that we can make better India and hence future. For one of our clients in healthcare business, we celebrated world breastfeeding week in the first week of August by running the campaign #YesIDo. The intent of the campaign was to create awareness on breastfeeding so that all the information about the issue can be taken care of. We also complimented our work through our own CSR campaign, which we started during Christmas named #MaiBhiSanta where we organised a warm clothes donation activity for a child home. Awareness and alertness are key to the situation. We always have an eye on day-to-day happenings in the cyberspace and hence curate our strategy accordingly. We care for our clients and end users both at the same time. So along with being transparent, we are attentive and triggering both at the same time. Knowing the fact that a quarter of our country’s billion-plus population is already engaged in utilizing the infinite web opportunities on smartphones, as well as desktop, it itself creates a changing attitude for the conventional business to go for the digital paradigm shift so that objective of attaining growth demand is met with best ROI strategy. It is very critical to analyze the customer journey and hence hit the targeting purchasing timeline accordingly. A funny incident occurred when one of the male senior doctors also shared the same with #YesIDo. The moment we tracked this, the complete office was filled with laughter. We still remember the incident as one of the craziest one till date. Our clientele includes more than 25 brands from different sectors including Automobile, Education, Media houses, Non-Profit organizations, FMCGs, Garment, Clothing, and Hospitality. Some of them are UNICEF, Mahindra(Automotive Division), Patna Ideathon, IoTNext, Confederation of Indian Industry(CII), Hindusthan Samachar, Patna Women’s college, Harilal’s, Saumya, IIT(ISM) Dhanbad, Saumya Dairy, Shemrock, IndiaDew etc. With data consumption increasing day by day, people are spending most of their time on the internet, either on social media, web browsing, OTT platforms, etc. This creates an opportunity to utilize the presence of people on a single platform in order to drive the business. Social Media has come up with an efficient mechanism for business to drive their sales and hence grow their revenue. Most of the social media platforms are equipped with artificial intelligence that provides many attributes and personas of the community. This helps the agencies tap the best segmenting, targeting and positioning strategies to leverage the business. The lifeline of any digital marketing agency is the Internet. Data is one of the most important stuff that every pocket is having. A person can sleep without its meal, but can’t miss a single episode of Sacred Games or TVf Pitchers. Now it can be realized how data and hence the internet is important.